Throughout Europe, a tourism experiment is returning lands once occupied by humans to their undomesticated state. 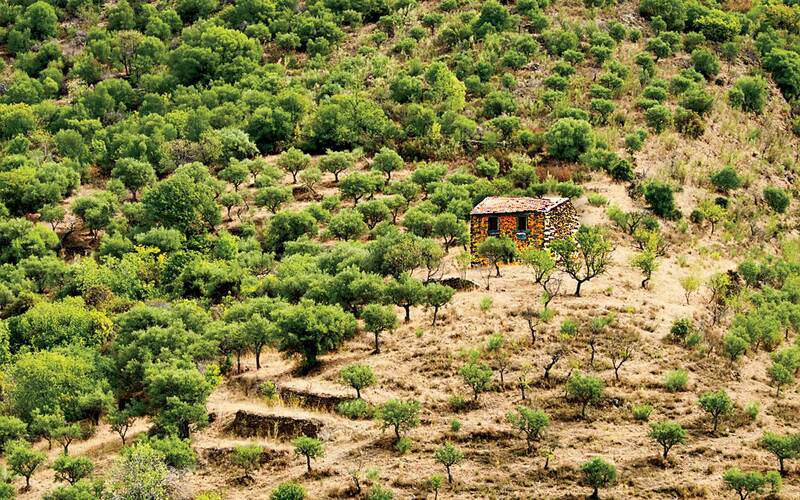 Darrell Hartman wanders the hills and valleys of eastern Portugal, where the first “rewilding” camps just opened. We were in the Côa Valley of eastern Portugal, a four-hour drive from Lisbon. It had taken only an hour to get from the medieval fortress town of Castelo Rodrigo, where I’d spent the morning, to the heart of the 2,200-acre Faia Brava Nature Reserve. Having reached higher ground, we parked and strode across a patch of earth strewn with bones: a feeding spot for vultures. On the periphery stood a small, camouflaged observation shelter. I spent a sweltering hour inside watching dozens of the scavengers circle, their six-foot wingspans silhouetted against the powder-blue sky. When we think about the world’s wild places, our minds typically turn to the South American rain forest or the savannas of Africa; we don’t usually picture Europe. Faia Brava, which was established as a nature reserve in 2000, was working farmland for centuries, but a consortium of environmental activists believes it can become truly wild again. It is a laboratory for “rewilding,” an environmental philosophy that has gained traction in Europe over the past decade. Proponents believe that lands abandoned by humans because of shifts in population or agricultural practice should be returned to their natural, undomesticated state. George Monbiot, the British author of Feral, a manifesto on the subject, has argued for the reintroduction of vanished species to their former habitats across the continent. He often refers to the wolves of Yellowstone, which have restored ecological balance since being brought back to the park in the 1990s. Iberian wolves, which have been spotted in the vicinity of Faia Brava, may soon become a regular part of life here, too. Even those who like the idea of rewilding—and many do not—are skeptical about its economic sustainability. This, says Collier, is where tourism comes in. He’s the wildlife tourism manager of Rewilding Europe, a Netherlands-based nonprofit that manages restoration projects across the continent, while also financing and marketing wilderness lodges connected to those efforts. Its current ventures include reintroducing red deer and bison in Croatia’s Velebit Mountains and building a mobile-camp facility in Italy’s central Apennines, the last holdout of the brown bears that once prowled the outskirts of ancient Rome. From left: A short-toed eagle soars over the Côa Valley; Mafalda Nicolau de Almeida and João Luis Baptista set up a meal at Fly Camp, their mobile lodging facility. Earning local support isn’t easy. Rewilding Europe’s conservation goals sometimes conflict with the hunting and animal husbandry traditions of nearby communities. But Collier believes that rewilding can also create opportunities for inns, tour companies, and guides. “Rather than just buying up land,” he told me, “we want to create entrepreneurs.” If the model proves successful, semi-forgotten regions across Europe could become tourist destinations. 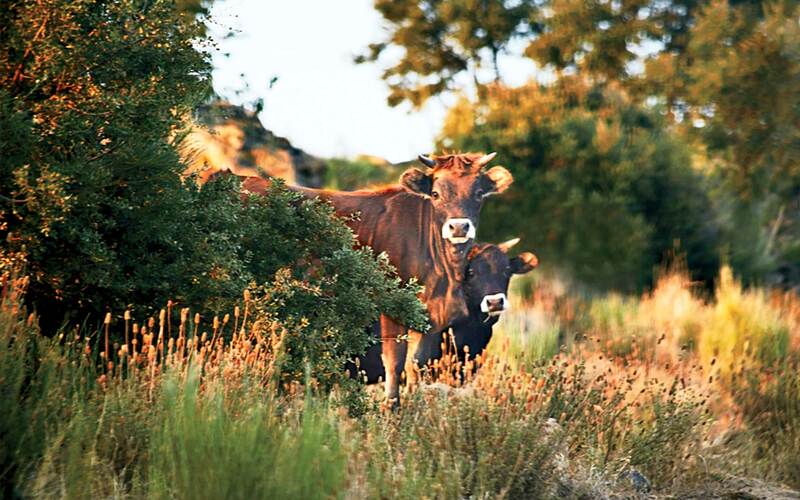 Last summer, a pair of tented camps opened in the Côa Valley, giving the rewilding movement its first tourism test case. Star Camp, where I spent my first two nights, is currently the only lodging option inside Faia Brava. Run by Sara Noro, who also operates a bed-and-breakfast in the nearby village of Quintã de Pêro Martins, it’s a permanent compound of three canvas tents, each with running water, a composting toilet, and a king-size bed. Plenty of work remains to be done: Collier would like to see a once-abandoned stone shed, which the camp has been using as a minimal kitchen, transformed into a comfortable check-in area. But one thing that is already perfect is the location. From my tent, the views of the reserve’s steep granite cliffs were staggering. On my first evening, I watched the setting sun bathe them in an ethereal pink light, as a steady breeze sharpened the refreshing effect of my gin and tonic. The next day I drove south to meet a young naturalist named Filipe Martins. The hills, ribbed with centuries-old crop terraces, were a reminder that the Côa Valley has been inhabited for more than 20,000 years. My GPS was useless in its compact stone villages, and my rental Peugeot barely squeezed through the narrow cobblestoned streets. A white-haired matron hung laundry; older men sat chatting idly. It felt as if little had changed in the past few centuries—other than the disappearance of many residents. Martins and I strolled a four-mile segment of the Grand Route, a 125-mile walking trail and wildlife corridor that opened in 2014. “In America, one finds wilderness,” he explained as we tramped past short Pyrenees oaks and clumps of Spanish broom. “In Europe, though, there are basically no places that can be considered pristine.” As we followed the Côa River, we passed disused irrigation canals that ran from decrepit water mills. Nearby, pumpkin patches were still being neatly maintained. Later that evening, after a long drive on unpaved switchbacks, I found myself enjoying an aperitif of white port with tonic, goat cheese, and garlicky alheira sausage on the terrace at Quinta de Ervamoira, a vineyard in the rugged region of Trásos-Montes. My hosts were João Luis Baptista and Mafalda Nicolau de Almeida. Both work in the region’s wine-making business, and together they run Miles Away, a travel company specializing in food and drink. Last summer, they launched Fly Camp, a mobile-lodging outfitter that offers wildlife adventures in the Côa Valley. With us was Mário Reis, an excitable archaeologist who works in the nearby Côa Valley Archaeological Park. After a dinner of creamy cod casserole, he drove me there to see the Paleolithic rock art that serves as a record of what this region was like in prehistoric times. The faint etchings were best seen after dark, he said. When we arrived, he trained a spotlight on a mitten-shaped slab of rock. I could make out an aurochs, an extinct ancestor of the cow. There was a horse, too, rendered with its head turning back, as if it were evading pursuit. “The main part of the artistic culture of this period was depicting animals,” Reis explained. “And remember, all of these are wild animals." From left: A temporary setup of Fly Camp overlooking the Duoro River in Côa Valley; paleolithic rock art in a cave near the Duoro River. I spent the next night at Fly Camp with Collier and Nuno Curado, a mellow, ponytailed wildlife expert who told me about the long-absent species that have reappeared lately in Portugal. Iberian ibex, reintroduced in Spain in the late 1990s, have begun migrating across the border. The panicked bull I saw is being used by the Tauros Programme, an eight-year-old Dutch initiative, to breed an aurochs-like cow. Sightings of Spanish imperial eagles and roe deer are on the rise. Then there are the Iberian wolves, whose comeback has delighted conservationists but dismayed residents. The next morning Curado roused Collier and me at 4 a.m. to drive east, across the Spanish border, where we hoped to see a wolf. Our guide, José Luís Santiago, led us up a slope of pine forest, pointing out a fresh paw print along the way. We spent an hour in the morning sun, watching deer graze near a group of beehives—farmers use this land, too. Forest lay just beyond, and down below sat a cluster of stone houses. We never did see a wolf, but the scenery made it hard to complain. An abandoned structure in the Côa Valley, an area of eastern Portugal that has been inhabited for more than 20,000 years. The Côa Valley is a four-hour drive from Lisbon or Madrid. Renting a car at the airport is the best option. Cell and GPS service are unreliable, so be sure to bring printed directions. 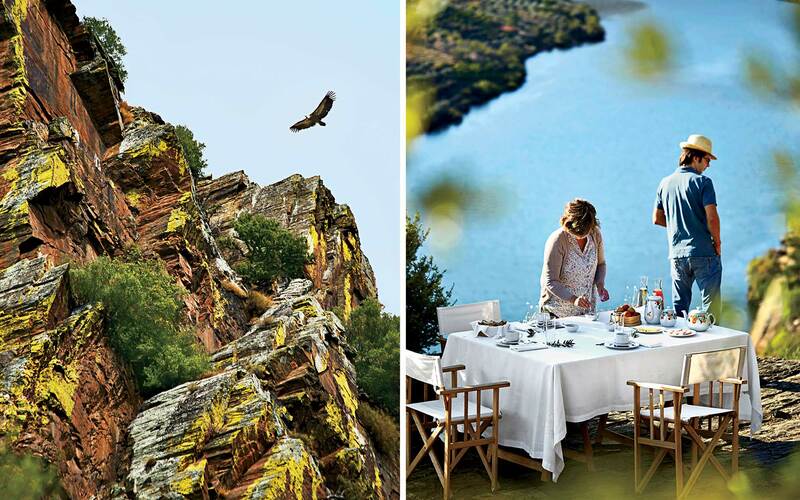 Miles Away: Choose from activities like lunch or dinner at Quinta de Ervamoira Vineyard, tours of Côa Valley Archaeological Park, and nights at Fly Camp, a mobile lodge that has bases in the Faia Brava Nature Reserve and other scenic locations throughout the valley. milesawaydouroandcoa.com. Casa da Cisterna: This 11-room B&B in the fortified medieval town of Castelo Rodrigo is a comfortable alternative to the region’s more rugged camps. casadacisterna.com; doubles from $77. Star Camp: Three platform tents in Faia Brava Nature Reserve offer uninterrupted mountain views; pull back the canvas to sleep under the night sky. starcamp-portugal.com; from $120. 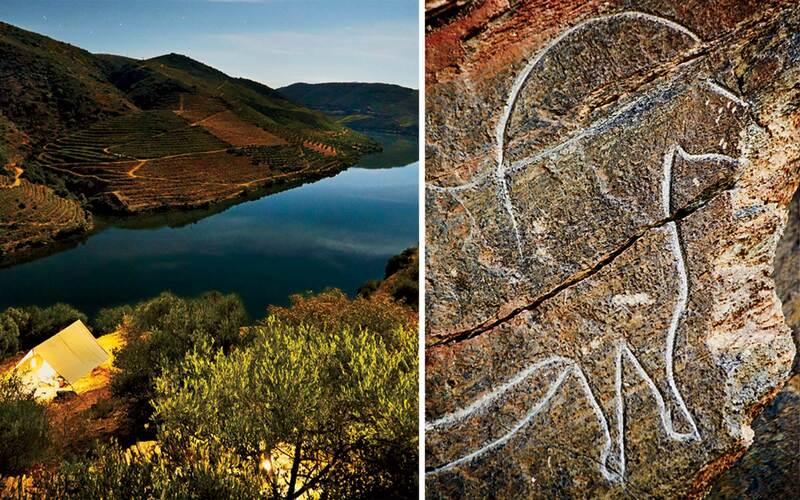 Côa Valley Archaeological Park: Fundação Côa Parque offers both day- and nighttime walking tours (from $11) to rock-art sites. Depart from the ultramodern Côa Museum. arte-coa.pt. Grande Rota: The best seasons to hike this 125-mile walking trail along the Côa River are late spring and early fall. Take a four-hour hike with Rotas e Raizes ($130). granderotadocoa.pt. Iberian Wolf Watching: Just across the border in Spain, local expert José Luis Santiago offers three-hour guided tours for $22, binoculars and telescope included. twobirdsonestone.es; overnight trips from $89. Quinta de Ervamoira: The 370-acre vineyard and winery is appointment-only and tricky to drive to, so you may want to book your visit through Miles Away. ramospinto.pt.